Is it time to transform your old, stale customer meeting? Take it from the back office to an Executive Briefing Center that enables an interactive experience. 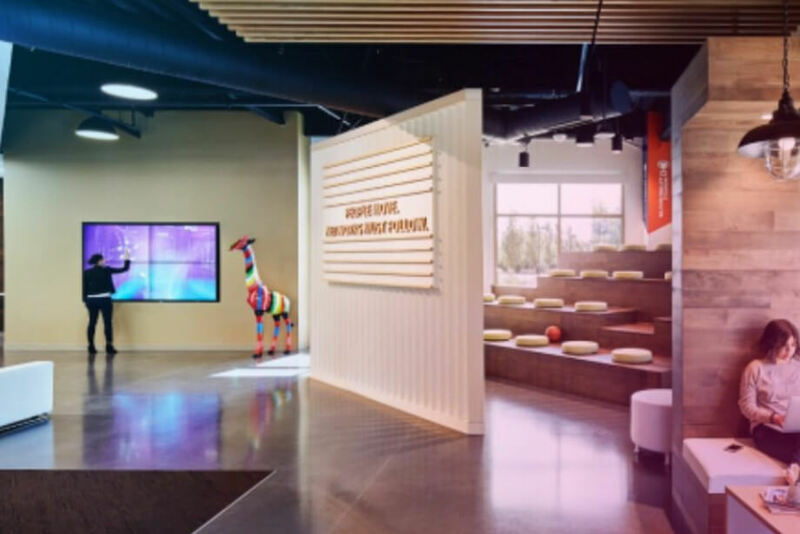 Over the last few years, the trend to open office spaces has made Executive Briefing Centers more popular than ever before. First-generation Executive Briefing Centers were used more for presentations, but this is changing with increased adoption of interactive technology. The latest EBCs are being used by leading brands to create 360 degree environments that immerse attendees in an experience. Interactive technology is a fundamental element of a branded environment, and is a top consideration when designing these spaces. Experiential marketing is a growing trend which involves marketing through experiences that engage customers and create an emotional connection. The experience begins when visitors first arrive at the facility, and is carried throughout the event. Organizations that embrace experiential marketing for their Executive Briefing Centers can differentiate from their competitors and gain competitive advantage. An interactive video wall will get your visitors literally out of their seats and up at the wall! If visitors get involved and actively participate in the experience, it is much more memorable versus passively watching a PowerPoint presentation. The MultiTaction wall is versatile enough that multiple visitors can use the wall at the same time, which makes it easier to share the experience, rather than waiting to take their turn. The real driver behind experiential marketing is customization, because you don’t want all your visitors to have the same experience. When a customer or prospect visits your office, it is an opportunity to produce a personalized experience that makes a lasting impression. Say goodbye to expensive developers and costly professional services for content creation! Say hello to MultiTaction’s unique web-based editor that makes live updates possible! With MultiTaction software you can make immediate changes to displays in real-time. This makes it easy for the marketing department prepare customized rich media assets for engaging with clients.